This item is design by TCP as part of their Flat Panel series. 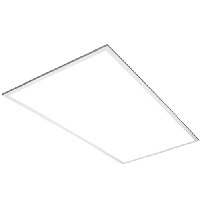 It is energy efficient and receives great energy savings when replacing your previous fixtures. It is 50 watts and 5000 lumens for light output. Applications such as these are best suited in offices, schools, retail locations, healthcare, and other commercial setting. Also it is DLC approved and comes with a 5 year warranty.